Katherine Helmond, beloved “Who’s the Boss?” and “Soap” actress has died, her agent told NBC News. Katherine Helmond, an actress whose star shined in beloved television series like "Soap" and "Who's the Boss?" has died. Helmond was 89. 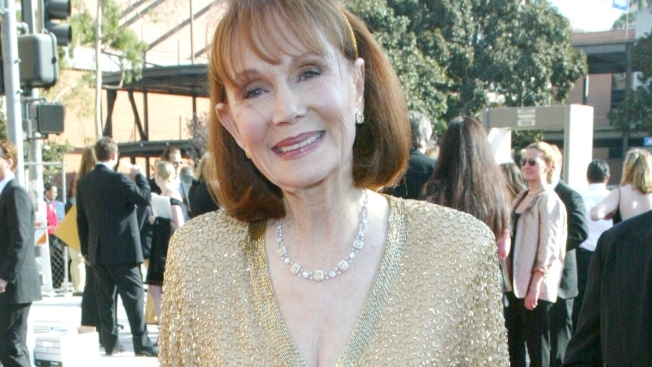 The Emmy-nominated actress, known for her sultry voice, red hair and sense of humor, passed away at her Los Angeles home on February 23 from complications of Alzheimer's disease, APA Agency announced on Friday, according to Deadline. She is survived by her second husband of more than five decades years, David Christian. She had no children. Helmond was perhaps best known for playing the feisty, man-crazy mother Mona Robinson on the long-running ABC sitcom "Who's the Boss?" Her "Who's the Boss?" co-stars Alyssa Milano and Tony Danza took to social media to mark her passing. Katherine Helmond has passed away. My beautiful, kind, funny, gracious, compassionate, rock. You were an instrumental part of my life. You taught me to hold my head above the marsh! You taught me to do anything for a laugh! What an example you were! Helmond also starred as the wide-eyed socialite sister Jessica Tate on another popular ABC comedy, "Soap," which spoofed the wildly popular soap operas of the time.